You’re no zero. You’re a wasteland wanderer: a mutant, a seeker, a robot-killer, a stoic shaman guarding forgotten ancient sciences. You seek triumph and technology, winning it with mutations and magic, soaked in the radiation and quantum fields of the mutated, the savage, the semi-sentient, and the artificially intelligent. There are treasures to be won in the taboo lands and ruins, and you shall have them. • A 29-page preview of the complete game, originally published in the Goodman Games 2015 Gen Con Program Guide. 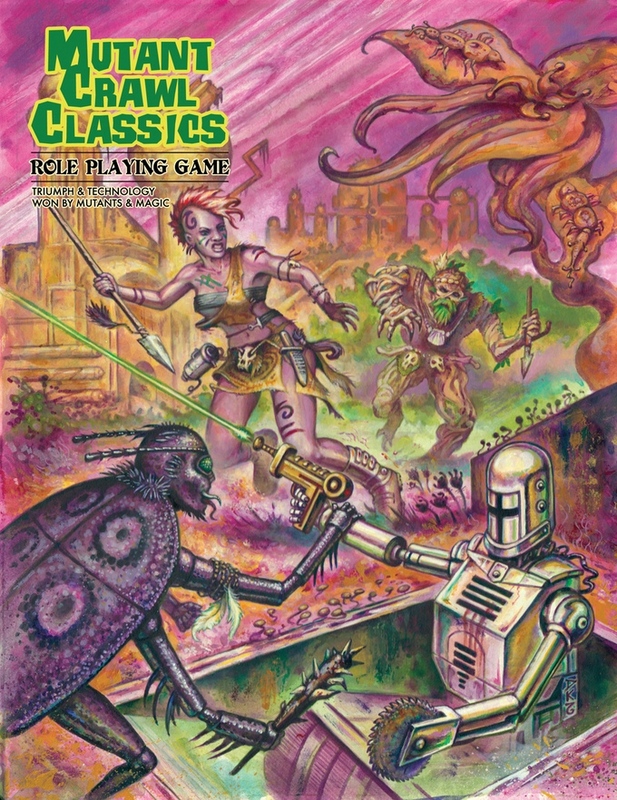 Includes information on the setting, character creation, character classes, mutations, artifacts, patron A.I. 's, and more! • A complete 13-page level 0 adventure, The Museum At the End of Time, originally published in the 2016 Free RPG Day module. Still not sure if this game is for you? 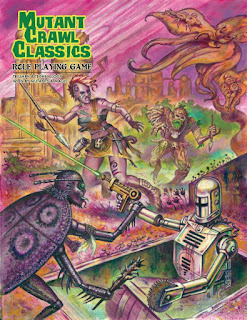 Maybe you don’t think you have the time to play it, or you are unsure of the genre, or perhaps you have never played DCC RPG. I would not let any of that dissuade you as this is a great opportunity to get in on the ground level. I consider myself a very careful Kickstarter backer as the stories are endless of failed or undelivered campaigns. MCC RPG comes from a respected company that is quite frankly just wonderful to the fans. This is one of those Kickstarters that I think people will regret not participating in if able. There are 8 days left for the Kickstarter and all the stretch goals are attainable!